.com.np is open for registration, ie. Any Entity eligible for .np domain can select the .com.np. where as .edu.np is for educational institutions and .org.np for organizations. 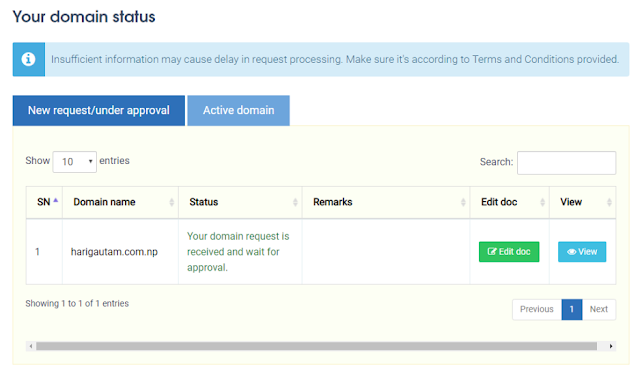 And Criteria are applied for most of the other domains extensions. .np domain is a country-code Top Level Domain for Nepal. A country code top-level domain (ccTLD) is an Internet top-level domain generally used or reserved for a country, sovereign state, or dependent territory identified with a country code. All ASCII ccTLD identifiers are two letters long, and all two-letter top-level domains are ccTLDs. Domain name is a unique identity in the World Wide Web. Once a domain name is registered by a user s/he has full control over that domain until it expires. Well, there is no expiry date for .np domain yet. Every domain name should be associated with an IP to locate the resource that is to be displayed in the web page. We need a DNS manager to point a domain to IP. 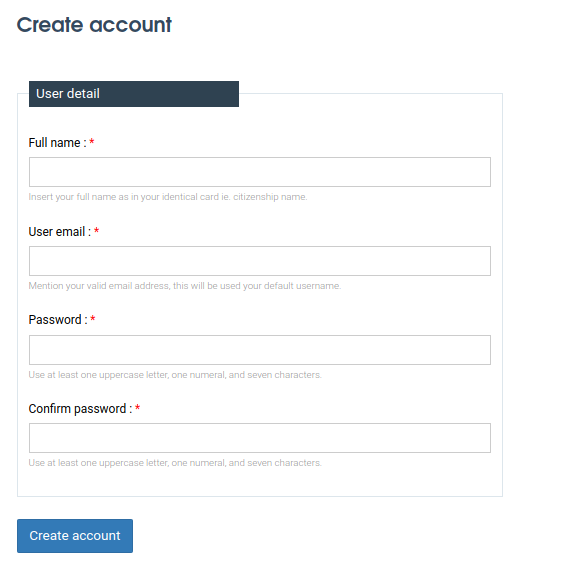 Enter your Full name, your email set a password and confirm it. We need this username and password so if necessary write it down. You may need to add your mobile no. 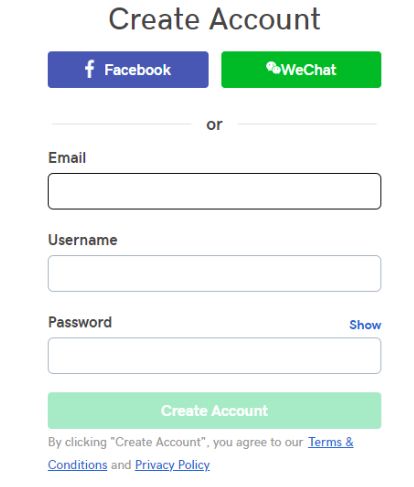 and verify your email address before further process. Check your Email account if there is any mail from np domain or GoDaddy and follow the instruction if any. Now login to register.com.np and in the Apply new domain section, Search the domain name you want to register and click on Search. If the domain had already taken try a different name and different extensions, from the drop-down. For personal domain you can have .com.np, .info.np, .name.np. 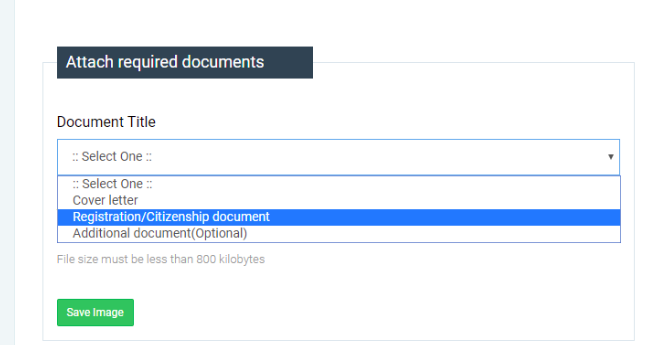 Now In the Attach required documents Select Registration/Citizenship card from DropDown. Then click on Choose File, Then Select your scanned copy of Citizenship and Click on Save Image. Remember it should be less than 800 KB. For cover letter follow Np Domain Registration Cover Letter Generator. Upload the cover letter and select Save Image. Then Click in Register Domain. Now your Domain is Registered. It needs to be approved, It would take some days. Insufficient information may cause delay in request processing. Make sure it's according to Terms and Conditions provided. If you follow all the processes. All required docs are provided and is under TOC. To continue your Domain usages, and following different guide on the internet. If you are asked to modify some DNS record you can login to Godaddy and modify your DNS records. If you are asked to modify NS records you can still do this from Godaddy DNS. We register .np Domain. .np Domain is a ccTLD. We user DNS management tool so that we can point to different domain according to our need without modifying the NS record, which would take more than a day. It would take some days for the domain to get approved and registered fully. Finally, your .np Domain is registered.